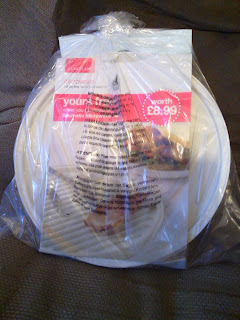 I won a Lakeland microwave crisper from Kitchen Science on Facebook on 29th June 2012. I received it on 8th July 2012. This will come in handy and save frying when I'm trying to make a quick bacon butty for breakfast! I won one too and find it brilliant for crisping bacon in the microwave. I cover it with a splatter guard though!